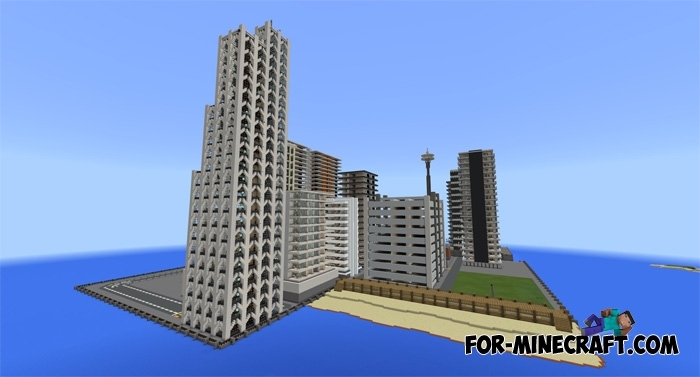 This project allows any player to observe how the Minecraft PE city is developing. City of Kingston consists of several multi-storey buildings but it has a great potential for expansion. The city is in flat world, surrounded by water from all sides that reduces memory consumption and allows you to view the city without lags and glitches. Probably, the constructed part of the city will become one of the central. You can also continue construction and increase the territory several times. Today, City of Kingston is one of the few cities in the development phase.